Amazon Is an Infrastructure Company. The HQ2 Bids Were Reconnaissance. In the course of deciding where to put its new headquarters, Amazon learned that Las Vegas has 2,185 students in computer-science programs, that Albany has an exceptionally low uninsured rate, and that three out of four Pittsburghers can afford to buy homes. It also learned about pending real-estate developments and discovered that the governments of Maryland, Virginia, and Washington, D.C., don’t get along — but Buffalo’s and Rochester’s do. It gathered hundreds of pages’ worth of other information, too, some of it proprietary, on cities as large as New York and as small as Tewksbury, Massachusetts. As the company strives to become all things to all people, this trove of information could be the foundation of its strategy, the blueprint for its continuing evolution. In the long run, it could be even more valuable than the few billion dollars’ worth of tax incentives Amazon is getting in New York and Virginia. It’s hard to get away from thinking of Amazon as a retail company, because that’s how most people encounter it: by shopping on its website or app, or by asking Alexa to place an order. But if Amazon specializes in anything now, it’s infrastructure. It has more than 250 facilities around the country, mostly hidden in plain sight, so that half the population lives within a short drive of one of its warehouses. It has an extensive shipping operation, which has started competing for UPS and FedEx customers in California. And it stores a vast share of corporate America’s data, including that of Netflix and Comcast, with its cloud-computing service. As Stacy Mitchell, an activist with the Institute for Local Self-Reliance, has been arguing for several years, the company is making it increasingly hard for any of its competitors, large or small, to reach customers without going through Amazon channels. The trove of data Amazon has gathered could guide it in its expansion of the physical footprint, in the kinds of services it rolls out next, and in future negotiations and lobbying with states and municipalities. The company opened its bidding process late last year, when it announced it was looking for a place to put a second headquarters, since the company already occupied a fifth of the prime office space in Seattle. In exchange for bringing as many as 50,000 jobs, it wanted big incentives — so big that it encouraged states to rewrite their laws on its behalf. But Amazon also requested a great deal of information on each place: on the workforce and wages, cost of living, housing, transit, traffic congestion, crime rates, and education, down to the level of computer-science training in K-12 schools. Judging from the ones that have been released publicly, most cities gave Amazon even more than it asked for. Reading Boston’s 109-page PDF, for instance, the company could have learned a great deal about real-estate developments that were in the works, from a biomed facility in the former Boston Flower Exchange to a 300,000-square-foot shopping and residential project in Allston, along with plans to extend subway lines to accommodate the new businesses. Once the company had narrowed its list to 20, it asked the final contenders for more information, such as standardized-test scores for local high-school graduates, annual festivals, and weekend travel destinations, plus the average cost of items like a movie ticket, a tall Starbucks coffee, a YMCA membership, and a gallon of gas. Granted, much of this information was already in the public domain, and now most of the bids are available for download. But in some places, Amazon did receive proprietary information. Thirty cities denied FOIA requests for their bids, and many others redacted theirs heavily before releasing them. The Virginia Economic Development Partnership said it had “hundreds of pages of proprietary information” that it didn’t want to release. Chicago fought an FOIA request in court and won. Amazon also said it would ask applicants to sign nondisclosure agreements in some cases. Unlike local governments, chambers of commerce, which handled many of the bids, don’t have to tell the public about their negotiations. Sometimes even city officials weren’t privy. When it announced it was dividing HQ2 between two of the three largest cities on the East Coast, New York City and Greater Washington, D.C., it was obvious that all the other cities had been scammed. The general assumption was that Amazon had used the others to apply competitive pressure and extract the biggest possible tax incentives. But this alone doesn’t explain its strategy, because it didn’t need dozens, let alone hundreds, of bids to apply that pressure, said Joseph Parilla, an analyst with the Brookings Institution. In fairness, the company was clear from the start about its “preferences”: a population of at least 1 million, direct access to public transit, and an international airport within 45 minutes, among other accommodations. This immediately culled the list of eligible cities to about 50, Parilla said. But Amazon didn’t discourage cities like Gary, Indiana, or Albany from submitting bids. Some observers, such as the urban theorist Richard Florida, have suggested data collection was the purpose all along. However, Parilla thinks the most important material Amazon collected goes beyond mere numbers. “It’s this soft data — that I, as an analyst, would love to have,” he said. “For instance, what are the current and planned partnerships or investments that these regions are planning, that will matter to Amazon?” He also cited STEM partnerships, plans to increase the supply of housing, concerns about affordability, and the kinds of incentives governments might give when Amazon wants to negotiate future development projects. The bids also gave Amazon clues about competence and efficiency, and about how well local governments cooperate with one another — or don’t, as in the case of D.C., Virginia, and Maryland, which submitted separate bids, even though all they touch a single metropolitan area. Meanwhile, all that real-estate information will surely help as the company’s physical footprint keeps expanding. Amazon has floated a plan to open as many as 3,000 cashierless convenience stores by 2021 — a startling number for such a short timeline, given that it took Starbucks several decades to open its 14,000 stores. 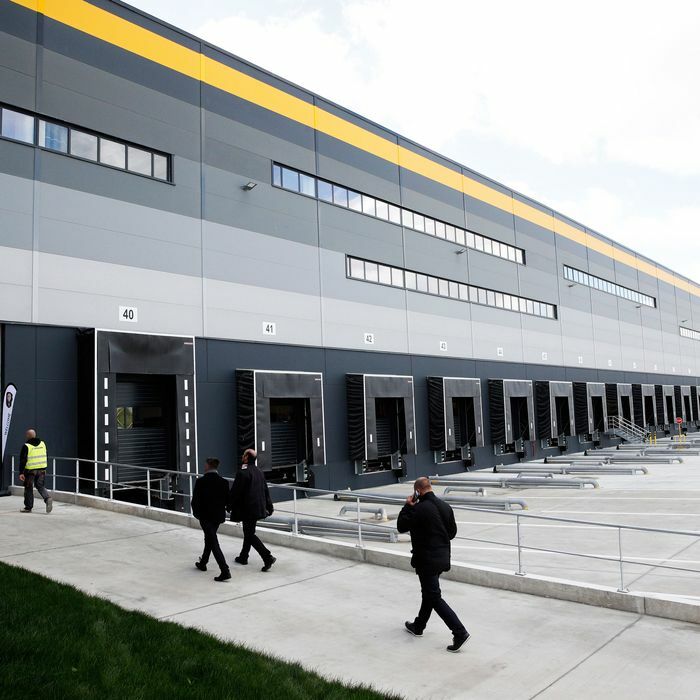 It’s also building more Prime Now hubs, which allow it to deliver items within two hours of when they’re ordered. The city reports could help it choose the best locations, both in terms of which neighborhoods are gentrifying and which cities will give it the best incentives. And then there’s Amazon’s shipping business, of which its 140 or so warehouses are just the beginning. It announced in the spring that it was building an air-cargo hub at Cincinnati’s airport, where it would keep a fleet of 100 Prime-branded planes. On the ground, it’s increasingly relying on its own vans and drivers instead of paying third parties, like the U.S. Postal Service, to make its deliveries. In the early 2000s, industry analysts started referring to the “Walmart effect,” where the company controlled such a big share of the grocery market that it could force its suppliers to lower wholesale rates to levels they could barely afford. There’s a corollary Amazon effect, which goes much farther: Companies as large as Levi Strauss and KitchenAid now have no choice but to sell on its platform, which means communicating with customers only through Amazon’s messaging service, in most cases using the company’s shipping service and warehouses and paying it fees for every sale. Mitchell and a colleague laid out this pattern in an exhaustive 2016 report. Amazon’s ultimate vision, they believe, is to situate itself between the public and any other companies that might produce or sell goods. “In effect, Amazon is turning an open, public marketplace into a privately controlled one,” they wrote. “It would be as if Walmart owned most of our malls and Main Streets, decided the terms by which its rivals could rent these spaces, and oversaw every sale they made.” So far, Amazon controls about 49 percent of online retail, and 5 percent of all retail — and those figures are inching up every year. Meanwhile, on its drive to become almost a para-governmental institution, Amazon has always relied on help from actual governments to gain advantages over its competitors, as Mitchell’s colleague, Olivia LaVecchia, pointed out last year. In the past, that has included getting a pass on sales tax and securing big incentives when it builds new facilities. Outsourcing Amazon’s reconnaissance was just the latest example.